Soldiers from One division of the Nigerian Army on Tuesday discovered a bomb making factory at a house located at Sabon Birni Road Kawo in Kaduna North local government area of Kaduna state, following a tip off from some members of the public. The building is located few meters from the one Div army headquarters. 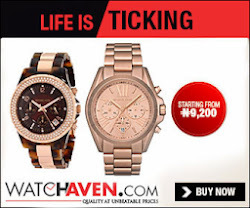 The Commander one division internal security force, Brigadier General Tagbo Chuks Ude who briefed newsmen on the raid said the discovery followed a cordon and search operation carried out in the area by Soldiers from the internal security force at about 5.30 pm on Tuesday. The owner of the house, one Husseni Dei Dei, a onetime ANPP chairmanship aspirant in the FCT, two women and five children all occupants of the building were arrested during the operation. Brigadier Ude said the building housing the bomb making factory will be demolished in line with Army’s resolve to deter terrorists from their activities. During the operation, six AK 47 rifles, one light machine gun, 20 seven loaded and 17 empty AK 47 magazines and 58 rounds of 9mm ammunition were recovered. 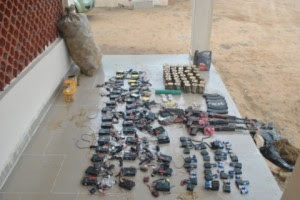 Other weapons recovered during the operation include 275 rounds of 7.62 mm NATO ammunition, one loaded light machine gun, nine prepared cans of improvised explosive device (IED), one reel of firing cord and 125 pieces of detonator. The recovered dangerous weapons were buried inside soak away pits, and ground within the building. The commander further commended the efforts of the well-meaning citizens that reported the matter and also reiterate Army’s resolve to fight terrorism in the country. He also appealed to the public to report any suspicious movement, establishment or persons in their environment as such information would be treated with absolute confidentiality. where are all these people importing these things from? Are top naija not involved?